Oakland Farm has been a family operation since 1876. We've been primarily a cattle and tobacco farm, with some corn and soybeans, but as the 6th generation begins to farm, we're diversifying our enterprises. We're focusing on what's most important to us: continuing the family tradition on this land, being good stewards of the land and our animals, and investing in a healthy, green Kentucky for all generations. Doug Witt grew up on Oakland Farm and has always had a passion for farming, trees, and new ideas. Laura Greenfield, Doug Witt's niece, is beginning to farm and represents the 6th generation of our family. Jo Greenfield, Doug’s sister and Laura’s mother, joined the tree operation in 2017 and is passionate about nurturing healthy, high-quality trees. You can find Doug, Laura, and Jo all across Kentucky sharing our love for trees, but the family business doesn’t stop with them. Other family members and friends provide help at critical times in the growing season, and we couldn’t do it without them! 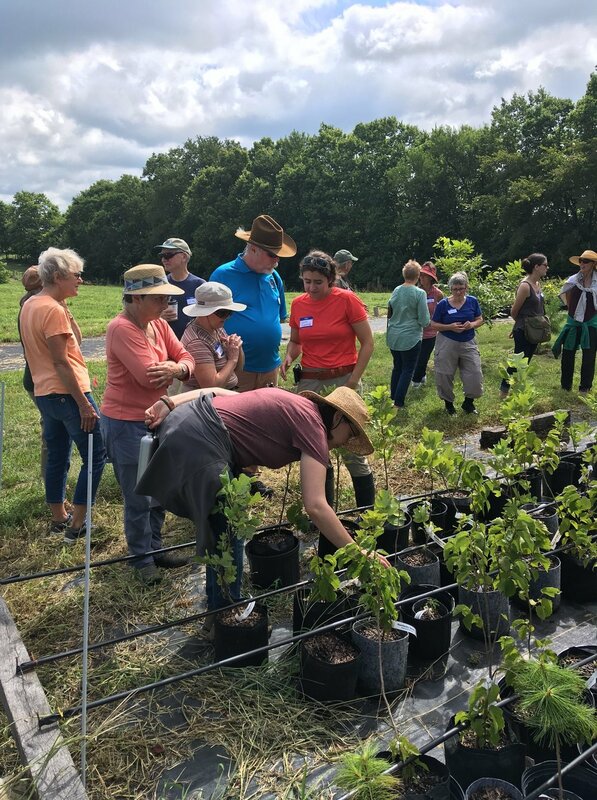 Our nursery offers 25 Kentucky native trees and perennial shrubs because we’re passionate about the many benefits of growing native species. We love their beauty and hardiness, first of all. Then there’s the fact that they support native birds, bees, butterflies, and moths. So many of you have told us that you share our passion, whether you’re interested in reforesting your property, planting one or more new trees in your yard, or giving a meaningful and living gift to a friend. We’re excited to provide plants to serve the growing interest in native landscapes! 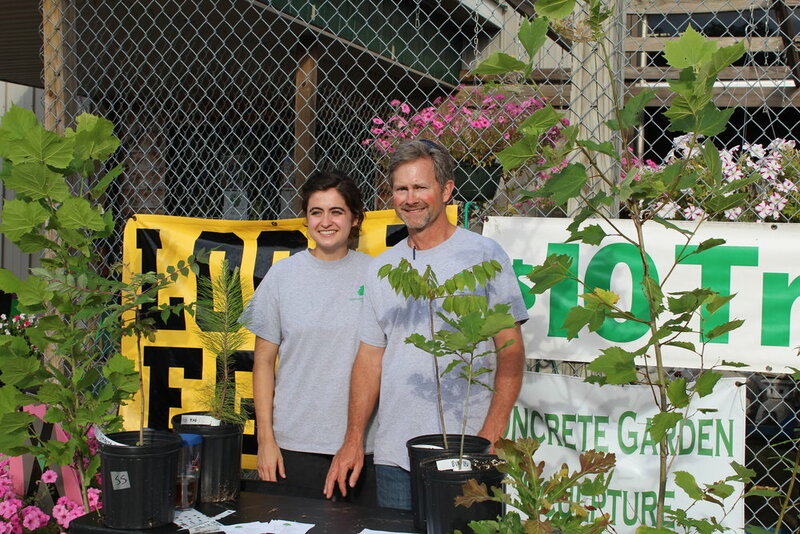 In 2014, we started selling trees at the Farmers Market of Paris & Bourbon County. 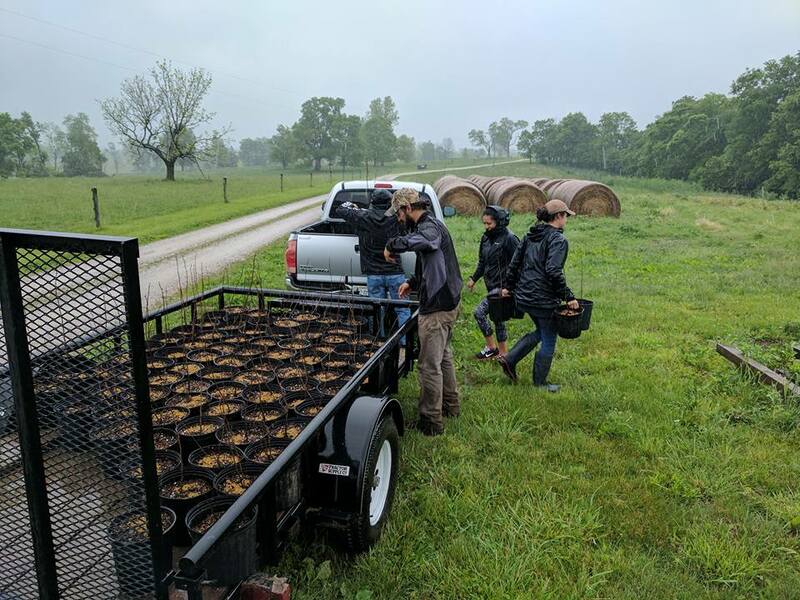 From there we expanded to providing trees for a variety of public and private clients, including Reforest the Bluegrass and other reforestation events, horse farms and other farms, neighborhood associations, garden clubs, and even a distillery. We are also a plant source for native landscaping projects and our trees are now happily growing at locations like the Walter Bradley Park in Midway, a professional office in Paris, stormwater runoff mitigation project at Castlewood Park (Lexington), and at the African American Cemetery (Lexington). And we now sell at farmers markets in two additional counties—the Bluegrass Farmers Market in Lexington and the Franklin County Farmers Market--providing plants for folks across Kentucky. Doug (right) and Laura (left) selling at the Paris Farmers’ Market. 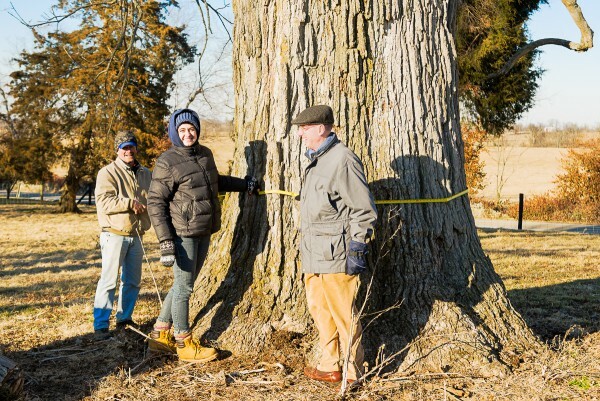 Measuring a big Chinquapin Oak on a cold day at Oakland Farm. Wild Ones Field Day at the nursery, Summer 2018.